VEENA DEVELOPERS, incorporated in 1990, creating homes, being in the construction industry for more than 25 successful years, bringing together the talents of our in house teams of land planners, engineers, architects, landscape architects, and real estate professionals to ensure best infrastructure for every facet of each home is well thought out, much prior to construction. It is the deep understanding of the business acquired over so many years that has propelled "VEENA DEVELOPERS", in to being one of the highly reputed homemakers with the most exacting standards because of great of precision and attention paid at every minute stage of construction, our reputation is based on enthusiastic response, courteous and professional service, that we wish to render to all those people who believe in quality and "VEENA DEVELOPERS" With sophisticated, yet comfortable designs with all components carefully on side red, "VEENA DEVELOPERS", believes that planning and constant communication are critical steps in building your dream home, and so to help common man in building his dream house building after building, home after home, we emphasize honesty, integrity , and complete transparency throughout the building process. 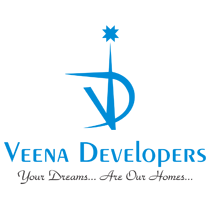 "VEENA DEVELOPERS", has a team oriented atmosphere between the homeowners, the architect, and the sub-contractor's, which allows us to deliver a high quality product to an enthusiastic and satisfied client. Keeping in mind the present economic trend we are moving towards SEZ "THE SPECIAL ECONOMIC ZONE" in VASAI with 3000 to 4000 homes in 1.2 billion sq.ft. of construction.